A tremendous band of badass heroes fight to protect the universe’s very last star from a mysterious evil in this next­gen shooter by the creators of Borderlands. 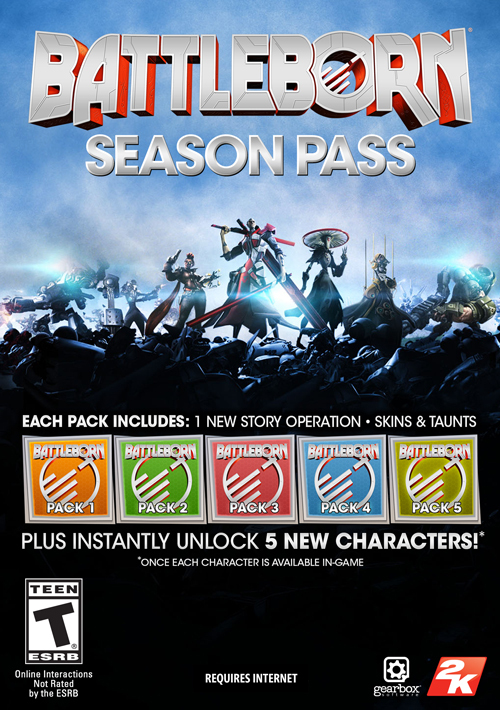 The Battleborn Digital Deluxe includes all Season Pass content giving you 5 all new Story Operations, instant access to 5 new heroes when they release, and digital bonuses. 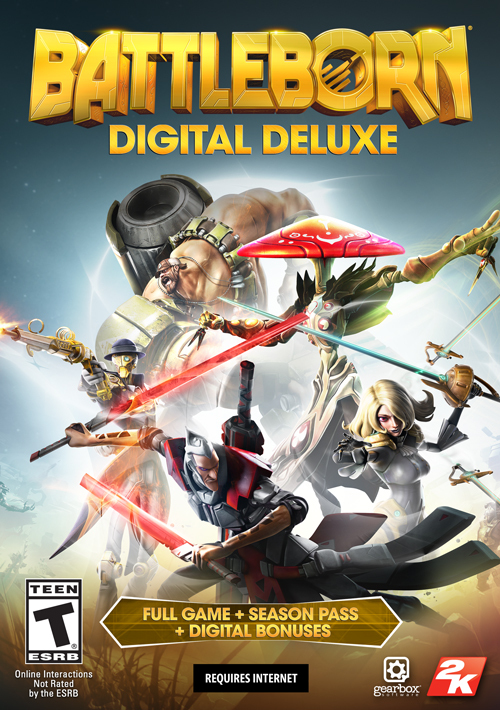 A tremendous band of badass heroes fight to protect the universe’s very last star from a mysterious evil in this next­gen shooter by the creators of Borderlands. 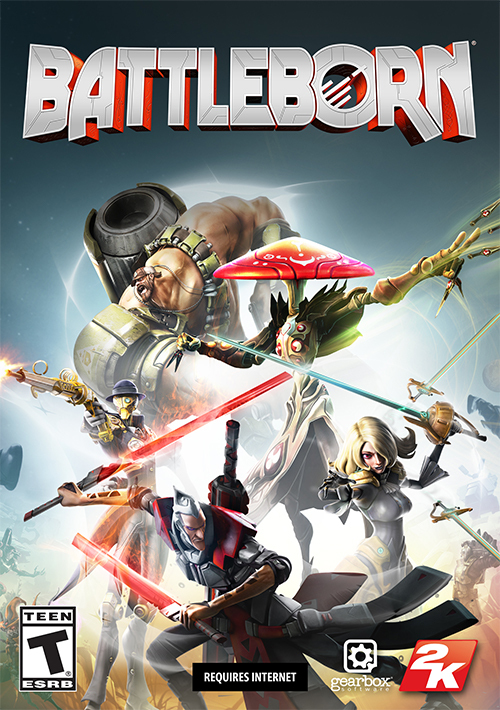 Slash and parry, run and gun, cast and dash, or simply obliterate foes while building team of heroes. 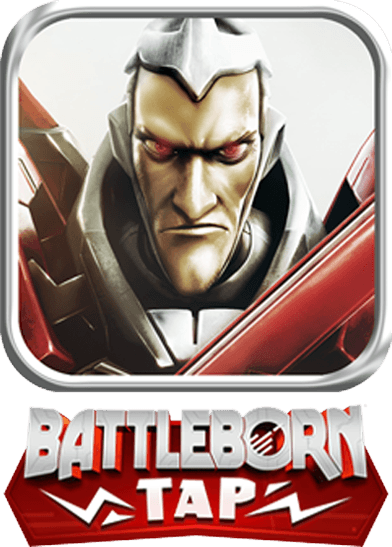 Receive 5 DLC packs, each pack allowing you to command your Battleborn on all new Story Operations. 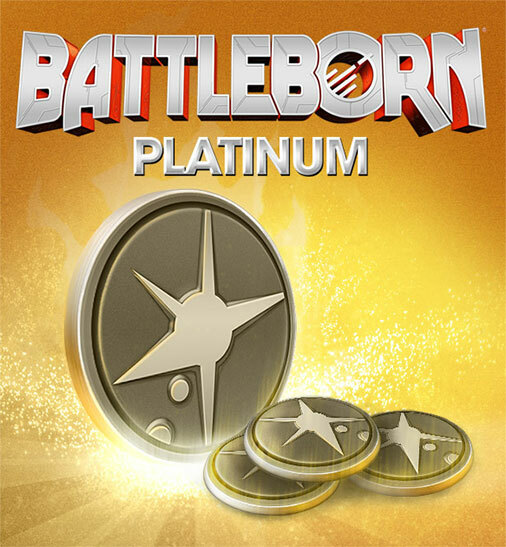 Plus instantly unlock 5 new heroes when they release, and gain awesome new skins and taunts along the way.